Mike Pace has been away from the studio for quite a while; seven years to be exact. That’s the last time Pace, at that point the front man for the indie pop band Oxford Collapse, put out a record. 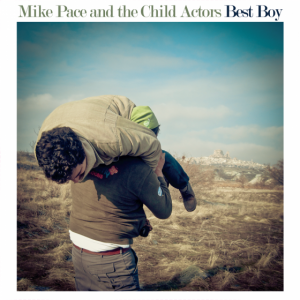 Judging from the bulk of the 11 tracks that make up the debut for his new outfit, Mike Pace & The Child Actors, the sabbatical was time well spent. Best Boy, is a stellar collection of witty three-minute pop tunes, flirting with a sound that comes across as a modern day Kinks. From the 70’s keyboard intro on a song like “The King of Corona” to “Southern Cordial” that has an almost Pinkerton-era Weezer vibe, this is a band with an impressive collection of rock and pop influence beyond the obvious. The only track that really doesn’t seem to fit the rest of the album is title song, with its moody, sweeping New Age sound. Coming in the middle of the album, it’s an odd break from an otherwise strong collection of songs. Seven years away was way too long. Here’s hoping Pace’s follow up is a lot sooner.